The Singapore Industrial Park (SIP) and the Jinji Lake region create a blend of old and new in Suzhou, one of the oldest cities in China’s Yangtze Basin dating back more than 2,500 years. Giving visitors the duality of exploring history and newly created attractions at once, the city of Suzhou showcases a cross section of activities for visitors of all ages. Travelers looking to visit modern day marvels will be impressed by the SIP, which is home the world’s largest Sky Screen, Asia’s largest Ferris wheel, a musical showcase and world-class hotels. The center piece of the SIP is Harmony Times Square, where guests will find themselves amazed when looking upwards as the area features the world’s largest Sky Screen. The giant LED Screen runs the complete length of the Times Square shopping center and is longer than the Las Vegas Sky Screen. The Harmony Times Square Sky Screen uses the latest technology of art, sound and light to create vivid displays nightly. Every evening at 7pm, the screen showcases a range of animations, shorts and cartoons. Visitors can even submit a photo to be shared on the display. Fun for the whole family is a ride on the largest Ferris wheel in Asia, known as the “Eye of Jinji Lake,” which rises nearly 400 feet (120 meters) above the water and features 60 carriages accommodating 360 guests at a time. The Ferris wheel is draped in LED lights that can simulate various visual effects creating dynamic expressions on the Wheel and providing onlookers with a show. Taking a trip on the Wheel, which lasts approximately 30 minutes, provides a magnificent one-of-a-kind view of the lake and the city of Suzhou. A multisensory display can be experienced on the west shores of Jinji Lake, along Xinggang Street, at the Musical Fountain and Water Curtain Movie Show. It is the largest waterscape engineering project of its kind in China, 426.5 feet (130 meters) in length, and 682 feet (208 meters) in width, with the fountain peaking at 354 feet (108 meters) during performances. The fountain performance is integrated with the Water Curtain Movie, a laser show of music and lighting playing on the vertical surface of the water fountain. The show is approximately 30 minutes, held each Friday and Saturday (and public holidays) at 8pm. Package starts at $206 (CNY 1288) per night for double occupancy. Visit kempinski.com/suzhou to book. Offer is valid until December 31, 2015 and subject to a 15% service charge. This special offer starts at $238 (CNY 1488) per night for double occupancy. To book this special offer visit suzhou.regency.hyatt.com and use promotional code SUZ02. The offer is valid from March 1, 2015 until May 31, 2015 and subject to a 15% service charge. Package starts at $200 (CNY 1,248) per night for double occupancy and can be booked at ihg.com/intercontinental/suzhou. The offer is valid now through May 31, 2015 and subject to a 15% service charge. 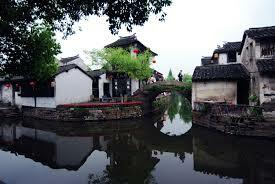 Suzhou, the “Venice of China,” is known for its elegant stone bridges, canals, flowing water, and noteworthy architecture. Located in the center of the Yangtze River Delta, approximately 70 miles west of Shanghai, Suzhou is one of the oldest cities in the Yangtze Basin dating back more than 2,500 years. The city boasts the beautifully manicured Classical Gardens of Suzhou, many of which have been designated a UNESCO World Heritage Site. Each year, millions of tourists travel to Suzhou to experience the destination’s more than 400 attractions, ranging from pagodas and temples to historical districts and world-class museums. As the largest industrial city in China, Suzhou continues to develop, such as the Singapore Industrial Park (SIP), which boasts five-star hotels, the iconic Lake Jinji, and Asia’s largest Ferris Wheel. There are bargains and there are bargains, but you know you’ve really got a deal when the whole tour costs less than the round-trip air fare. 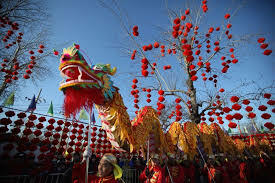 A great way to celebrate the Chinese New Year: China Spree’s Timeless Beijing package starts at only $888 from San Francisco and Los Angeles, and includes not only round-trip transpacific air, but six nights’ accommodation in a convenient 4-star hotel (probably the beautiful Traders Hotel by Shangri-La), airport/hotel transfers, six American buffet breakfasts and three delicious Chinese lunches, three days of escorted sightseeing with entrance fees, baggage handling and a knowledgeable English-speaking guide. Note that Houston departures are $50 more, New York $80 more, and prices rise slightly in the spring and fall. The tour concentrates on Beijing and its surroundings, but Beijing is not only China’s vibrant capital, it is one of the world’s largest cities, a political and cultural center with a history dating back 3,000 years. It is full of fascinating palaces, temples and parks; modern “starchitect” skyscrapers and glitzy shopping centers as well as ancient neighborhoods called hutongs; and seven—count them, seven—UNESCO World Heritage Sites. A briefing in the hotel starts things off, then a guided visit to the infamous Tiananmen Square, world’s largest public square, and the Forbidden City, symbolic center of the Chinese universe, from which 24 emperors ruled the Middle Kingdom from 1420 to 1911. There’s a full-day excursion to the Sacred Way of the Ming Tombs with its 36 massive stone sculptures, and the iconic Great Wall of China, the 3,500-mile bulwark begun in the 5th century B.C. to keep out foreign invaders. Another day there’s a visit to the Temple of Heaven, a masterpiece of Ming architecture, and the idyllic Summer Palace imperial garden with its amazing Marble Boat. The tour allows free time for exploring on your own, shopping, gallery-hopping and just relaxing in a tea house. But reasonably-priced optional excursions are also available. A dinner with acrobatics show and transfer costs $35. And a not-to-be-missed day-long tour that costs $75 includes the pandas at the Beijing Zoo, a rickshaw ride through Old Beijing’s hutongs,, lunch in a traditional courtyard home, a visit to a renowned Tibetan lamasery and a sumptuous Peking duck dinner. China Spree also offers A Tale of China’s Two Great Cities tour that covers Beijing and Shanghai and starts at $999. All prices quoted are cash-only, are per person, double occupancy and are subject to availability. (Due to the popularity of this tour, reservations are confirmed based on the order in which deposits are received.) For more detailed information about the Timeless Beijing package, log onto www.chinaspree.com and click “China Tours,” then “Specials.” China Spree’ s toll-free telephone number is 1-866-652-5656. In 2015, Journeys for Families has over 20 itineraries in 18 destinations, and a total of nearly 30 family group departures scheduled. 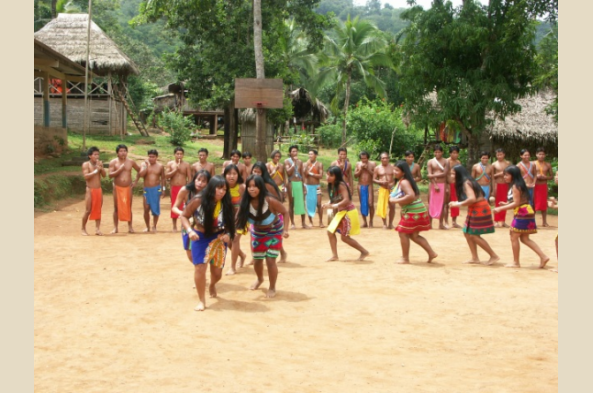 Plus, itineraries can be customized and planned around the dates that work for the travelers. 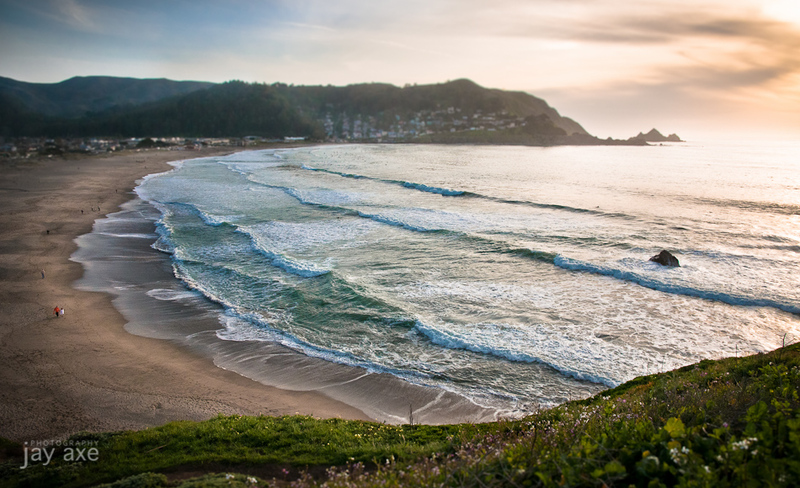 Located just 15 minutes south of San Francisco, the beautiful beach-front town of Pacifica is the ideal hitching post for couples that want to celebrate romance any time of year. If shopping for a souvenir strikes your fancy, Pacifica boasts some unique shops that offer gifts for any romantic occasion, including: Resurrected, Avani Salon, Sirens, Christmas by the Cove, Yonder Shop, Sun Valley Market, Jewels Forever, Obsessions Beauty Salon, Mazzetti’s Bakery, Pavilion of Flowers, Oceana Market and Best Pets. While romance is most definitely in the air, February is by no means the only time couples should cultivate the mood. One of the most romantic destinations in California is the awe-inspiring destination of Mendocino…and sometimes it’s best enjoyed when all the “amateurs” are not celebrating over the same Hallmark holiday. Whether you’re a novice or experienced rider, trail rides along the beach or in the Redwood Forest are a favorite pastime. Ricochet Ridge Ranch offers a variety of excursions, including private retreats, sunset rides and week-long riding treks. Recognized by Outside Magazine as “One of the Top 25 Trips of a Lifetime,” this corral provides quality guides and friendly horses for any journey. For more information, visit http://www.horse-vacation.com. There is no adventure more bonding for a couple than learning how to stroke in time with one another. At Catch a Canoe, visitors are patiently guided through the nuances of paddling in unison so that the voyage up and down Mendocino’s Big River is not only symbiotic, but coupling as well. In addition to outrigger canoes, this outfit rents bikes as well. For more information, visit http://www.catchacanoe.com. For all the right reasons, Napa and Sonoma have put themselves on the map for wine enthusiasts, however, Mendocino County boasts some of the most robust wineries and friendliest tasting rooms in California. Favorites include Scharffenberger Cellars (for which sparkling wines are their reputation, but try the Chardonnay and Pinot Noir), http://www.scharffenbergercellars.com; Maple Creek Winery for a range of wine and art, http://www.maplecreekwine.com; and Lula Cellars for a great selection of Pinot Noir, http://www.lulacellars.com. For many years, the pull of The Heritage House Resort has been of great allure. Sitting on 37 acres, the resort features sweeping views of the coast and beach access, but is also nestled into the comforts of mature trees that create a quiet serenity. Rooms feature fireplaces, expansive balconies with views of the cashing surf, cozy beds that beg for lazy naps and snuggling, quiet accommodations that feed the mood and every amenity for which one could wish. The hotel’s restaurant, 5200 Restaurant and Lounge, boasts panoramic views and farm fresh cuisine that is a celebration of local ingredients for both breakfast and dinner. For more information, visit http://www.heritagehouseresort.com. Managed since 1980 by Jeff and Joan Stanford, the Stanford Inn by the Sea is the most full-service property in Mendocino. 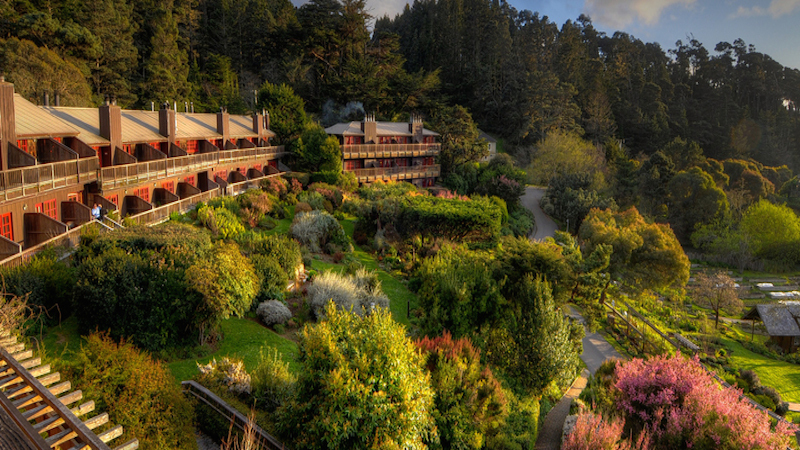 In addition to its 41 guest rooms, this pet-friendly property features The Ravens all-vegan restaurant, which serves breakfast and dinner; daily yoga and tai chi; fireside chats on healthy living every Friday night; cooking, gardening and healthy living classes; Ayurvedic treatments; the Mendocino Center for Living Well; and is part of the Greenbelt Project. The Stanford Inn is also home to the afore-mentioned Catch a Canoe. For more information, visit http://www.stanfordinn.com. Nestled in a building that was built in 1909, by the same architect that developed San Francisco’s Fairmont Hotel, Mendo Bistro is perhaps Fort Bragg’s culinary gem. Chef/owner Nicholas Petti uses the freshest ingredients of seafood and produce, but the cheese platter and “choice menu” of proteins, sauces and preparation are not to be overlooked. The service was very cordial and accommodates even the most random of diets, so no one will walk away hungry. For more information, visit http://www.mendobistro.com. While all of the assets at The Stanford Inn are enough to create intrigue, The Ravens serves the best vegan cuisine in California…favorites include the Sushi Roll, served with Ravens dynamite sauce; Dos Tacos Biologicos with Jalapenos, crimini mushrooms, onions and shredded cabbage; (massaged) Kale Salad with raisins, avocado verjus vinaigrette and sautéed trumpet royale ceviche; Sea Palm & Root Vegetable Strudel; and Spinach Ravioli; to name a few favorites. For more information, visit http://www.ravensrestaurant.com. For a locals’ type of experience, Piaci Pub & Pizzeria is a small and casual eatery that captures those who are looking for carbo loads and stick to the ribs cuisine. Even during weekday lunch encounters, customers are indulging in one of many hand-crafted brews while sinking their teeth into one of the hearty calzones, flatbreads or thin-crust focaccias. This is a great option for anyone looking at mid-day nourishment before or after hiking, biking, kayaking or horseback riding. For more information, visit http://www.piacipizza.com. While there is so very many things to do in Mendocino County, the recommendation is to schedule LOTS of time for just being, not doing. However, for those with a robust thirst and hunger for more, visit http://www.visitmendocino.com. What people don’t realize is that a trip to Alaska is attainable with a bit of planning and research. Denali National Park and Preserve, found in the interior of Alaska, encompasses six million acres of preserved wilderness that includes massive expanses of forest, glacial lakes, frozen tundra, and towering mountains – including North America’s tallest mountain, Mount McKinley. Denali Park Village, located only miles from the entrance to Denali National Park, is set among 20 acres of a spruce forest along the Nenana River. This compelling, adventure-laden locale and its stunning views of nature and wildlife topped ‘bucket lists’ of some 400,000 visitors last year who found themselves at the heart of the Alaskan wilderness. Visitors also experienced Denali Park Village’s rustic yet luxurious lodge, cozy cabins, varied dining options, tour packages, accommodating staff and interpretive tours of the park. Book direct, in between tours. There are short gaps between groups and tours when the hotel may be nearly empty, those nights can be very cheap. Book with the hotel directly. Reserve a budget for day-tours. Day tours are the best way to see Alaska. Plan to spend part of your budget on day-tours, they let you explore the otherwise inaccessible wilderness. Then rent a car and create your own adventures or take a trip on the Alaska Railroad, it provides efficient and reasonably priced service throughout most of the state. Know what time of year to visit. Days are long, and temperatures are comfortable anytime from May to September. Hotel rates are lower during shoulder seasons (mid-May to mid-June and early September), but temperatures a little warmer during peak season. It gets rainier as the summer progresses. Act like a local. Avoid tourist restaurants in favor of street vendors or local cafes. If you have a car, shop at the discount stores outside each town rather than at the expensive downtown boutiques. Take advantage of free weekend markets, festivals and other local entertainment options. Denali Park Village, a new lodging destination that embodies Alaska’s rich mining and natural history, underwent a complete transformation in 2014. It now offers visitors an authentic Alaskan experience including The Lodge at Denali Park Village, The Cabins at Denali Park Village and Miner’s Plaza designed to resemble a historic mining town. The plaza includes individually themed shops, general store, museum, gift shop, gem mining, games such as horseshoe and bean bags, open fire pits and lounge chairs and an outdoor stage offering free talks by the Denali Education Center. In 100 Things to Do in San Francisco Before You Die, (Reedy Press) the authors talk top attractions – the famous Painted Ladies, the bridges, the countless scenic vistas — but they focus on guiding visitors and residents alike to the out-of-the-way places that locals love, places that reveal the soul of this world-class city. Based on personal experience, the authors suggest where to grab a Mission-style burrito, introduce the kids to a giant Pacific octopus, join a sea chantey sing-along, get tipsy on an alcoholic malt, buy tie-dye in Haight-Ashbury, rock out at a free music festival, track down a food cart selling bacon-wrapped hot dogs, and relax in a redwood grove. The book also provides insider info on where to experience yoga on a labyrinth, rent a bike in Golden Gate Park, taste exotic olive oils, soak up spectacular ocean views on an urban hiking trail, brunch on beignets, take a free walking tour, and catch a glimpse of the city’s wild parrots on the wing. In short, 100 Things to Do in San Francisco Before You Die reveals many of the reasons why millions of people routinely leave their hearts in this amazing place! 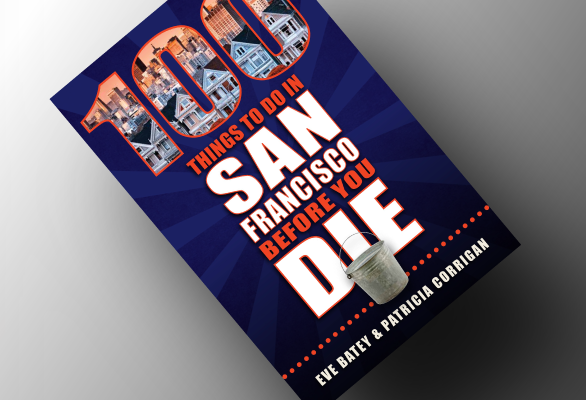 100 Things to Do in San Francisco Before You Die is available wherever books are sold. Eve Batey is the co-founder of SFist.com, the proprietor of The San Francisco Appeal, and used to be a Deputy Managing Editor of the San Francisco Chronicle. She lives in the Outer Sunset with her husband and a bunch of animals. Her website is evebatey.com. Patricia Corrigan is a freelance writer and editor in San Francisco who worked for twenty-three years as a newspaper reporter and has written seventeen books. She lives in Twin Peaks, close to her son, daughter-in-law and grandson. Her website is patriciacorrigan.com.